A purple flower at the La Source Parfumee in the Provence, France is another species of flower that is used for its essence. 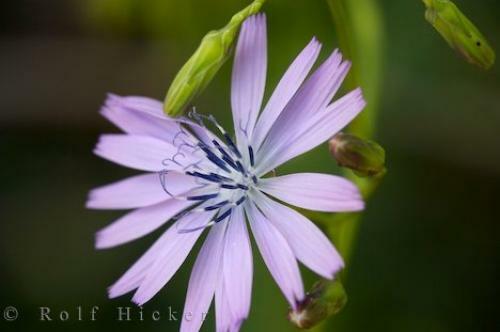 The purple flower has long, thin petals that surround a very unique center of blue, purple and white. La Source Parfumee Garden near the village of Gourdon, France is a factory where perfume is made and each flower that is grown in the garden at La Source Parfumee has a different essence that is used in the making of the perfumes. Flowers in bloom at La Source Parfumee Garden near the village of Gourdon, Gorges du Loup, Alpes Maritimes, Provence, France, Europe. Photo of a purple flower at the La Source Parfumee in the Provence, France in Europe.